Mitul; a perfectionist, is responsible for the quality of our service delivery and providing a first class service to all clients. 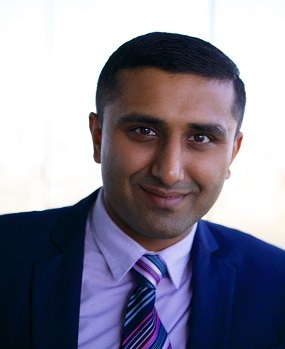 With over 8 years experience, Mitul is a property management expert and is always on hand for our landlords to help resolve any matters that may arise With an excellent track record of client satisfaction and a property portfolio of his own, Mitul is in an excellent position to assist landlords from a landlord perspective, and knows what landlords should expect from an agent. With this point of view in mind, Mitul has continued to exceed client expectations for a number of years resulting in 100% customer retention and a very high level of customer referrals. As a Partner in Maritime Properties, he plans to step this up moving forward by continuing to exceed his self-expectation and taking advantage of his wide-network of clients to bring in more business in both the sales and lettings. Having spent countless evening and late nights working in the office even on a Friday night, Mitul is definitely a workaholic. Although when away from work, Mitul is also a car enthusiast with a passion for his car collection on top of the passion he has for property.